For those who didn’t get the fill of Bridal fashion at New York Fashion Week Bridal, you are in luck. 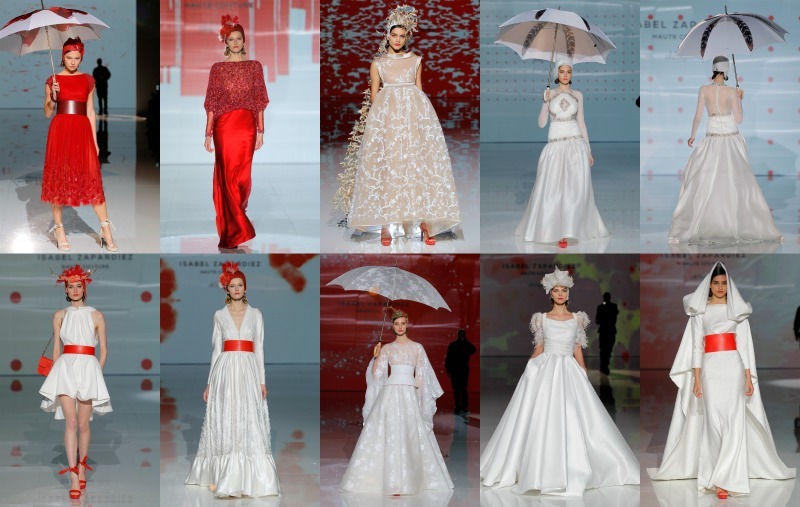 The 27th edition of Barcelona Bridal Fashion Week took place last month. There were some many stunning collections to choose. Here are some of my personal favorite ones below. 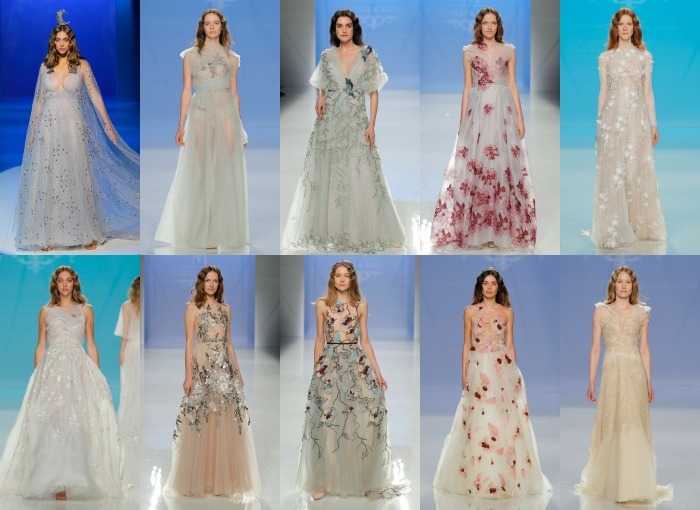 Some of the main fabrics used in this collection are Chantilly, Tulle, Crêpe, Georgette, and hand-pleated Muslin. According to the website, the collection presents silhouettes that organically highlight the woman’s body. 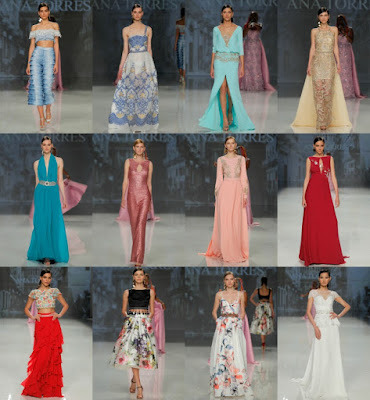 This collection took inspiration from New York City in the early 20th century. The exquisite detailing especially on the back of the gowns is one of the things that I enjoyed from the collection. This collection also was inspired by New York. 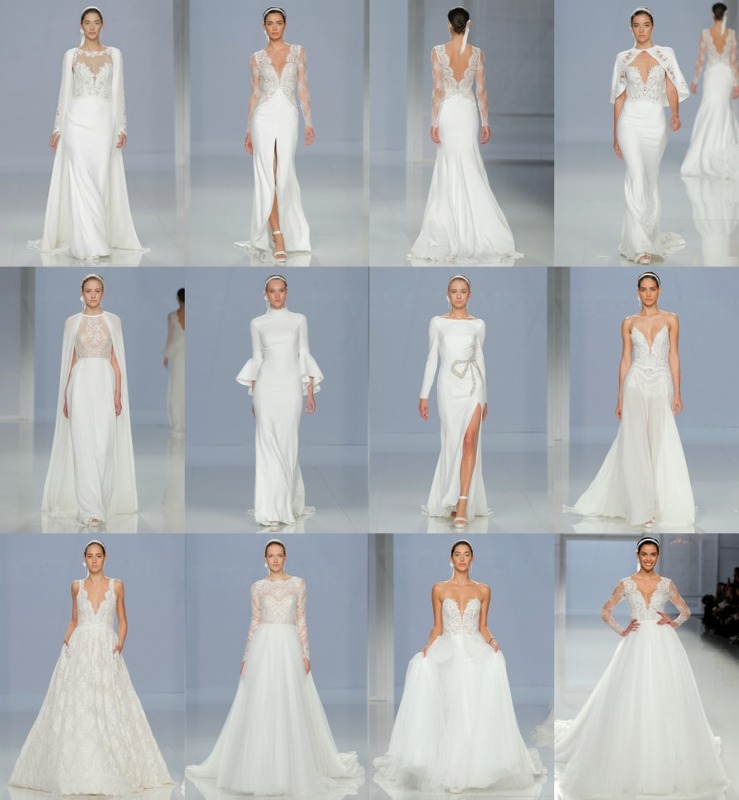 For contemporary & romantic brides this collection was designed especially for them. The Fall collection pulls inspiration from 40’s and the 70’s. 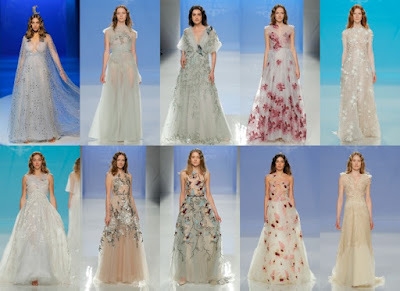 My favorite looks would have to be those featuring celestial pattern (moon, stars & etc.) Black & White color combination. This collection marks the designer’s 15th anniversary. The designer’s visit to Japan and her professional beginning were the main inspiration. Looks such as kimonos and samurai-inspired pieces help to communicate it. “Everything I am is reflected in what I do. 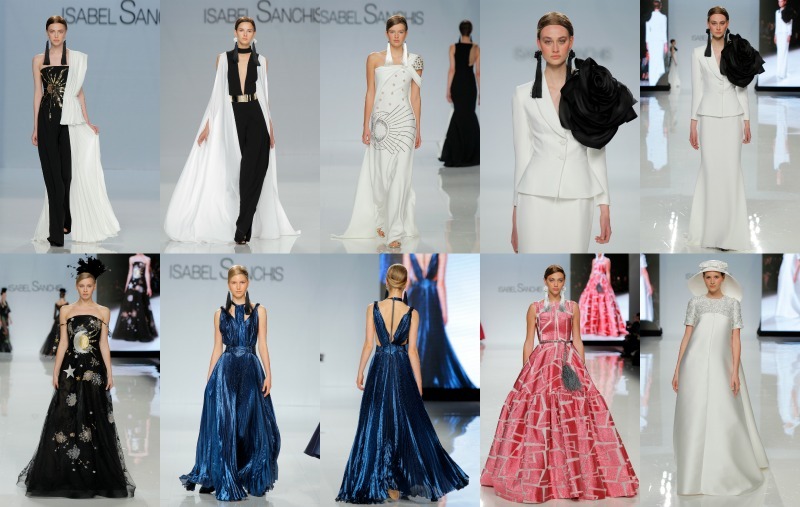 This collection was born from these 15 years of emotions and passions that add up and run together in my mind…and are expressed with total freedom,” says Isabel Zapardiez. 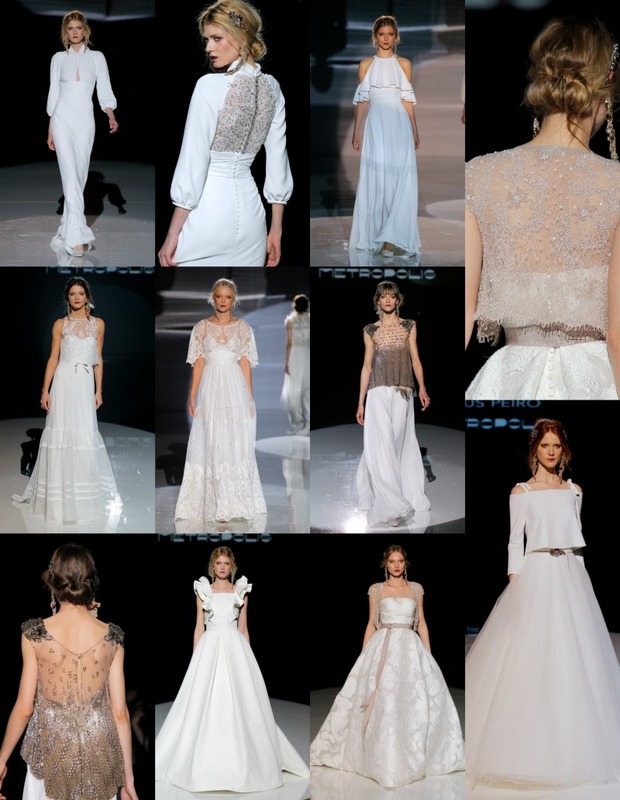 The romanticism of Bolero is the inspiration behind this collection. I loved the different colors and 3D flowers. Each design is handcrafted in the designer’s studio in Córdoba. This collection takes inspiration from the character Ophelia in Shakespeare’s Hamlet. Flowers were featured on several of the designs. However, it was the perfect amount that it didn’t appear overpowering. I personally look forward to the collection each season from this label. I loved that it gives great options for the guys. Besides the fine craftsmanship, each suit features adjustable lengths which are great for men of different heights. 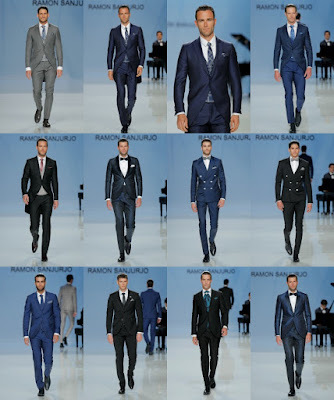 My favorite looks from the collection would have to the classic black and blue suits. 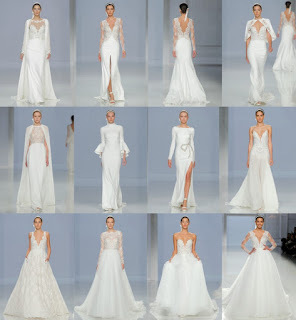 This collection includes different necklines such as illusion, strapless, sweetheart, sleeveless, high-necks, halters, off the shoulder and V-neck. This is great for brides who are looking for options. One of the highlights from this collection is the overall elegance. 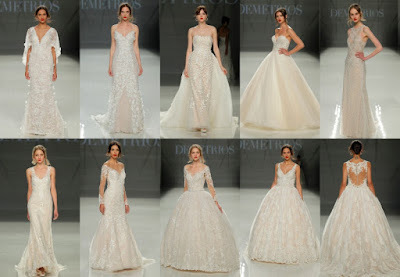 There you have it for Barcelona Bridal Fashion Week until next week. Which collection was your favorite? Let us know in the comment section below. All images and information appear courtesy of Barcelona Bridal Week.